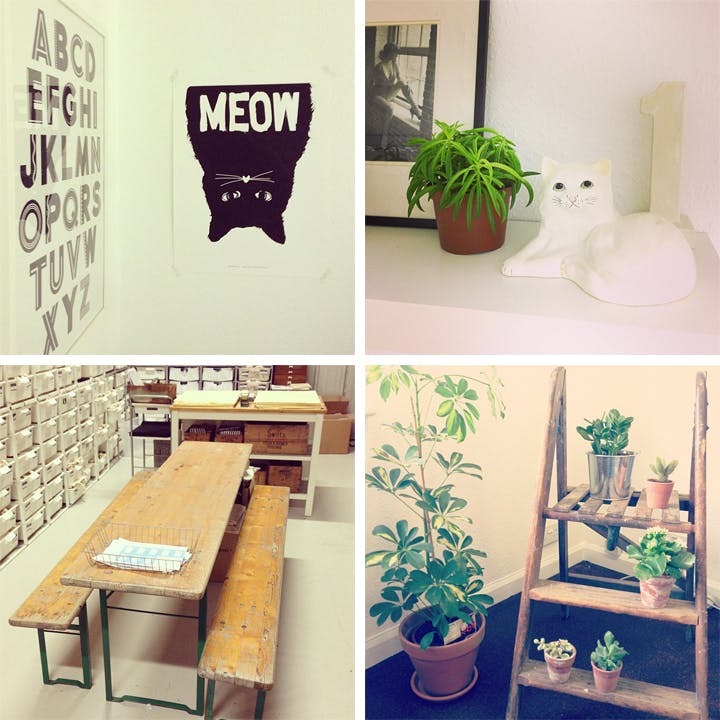 Home > Blog > Cheering up our office! 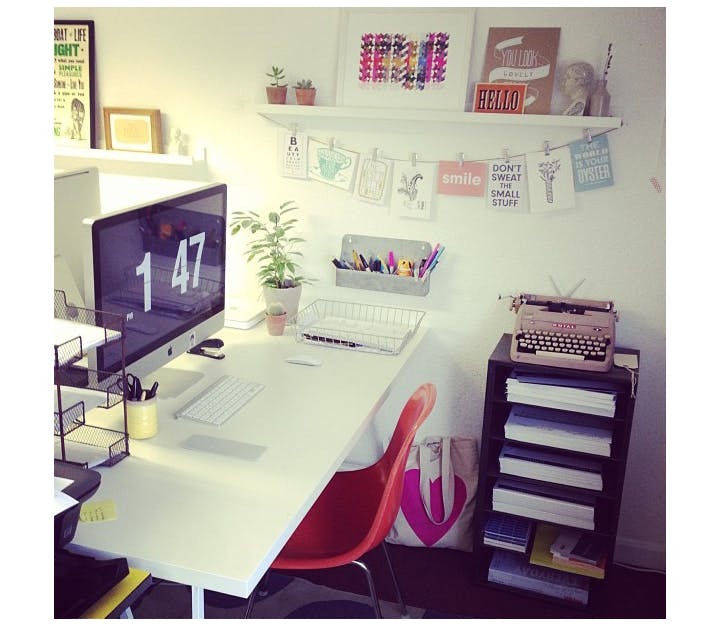 We love Ikea's picture rails, they've instantly brightened up the walls next to our desks. Over the years we've collected tons of cards, postcards and prints which we've never got round to finding homes for. 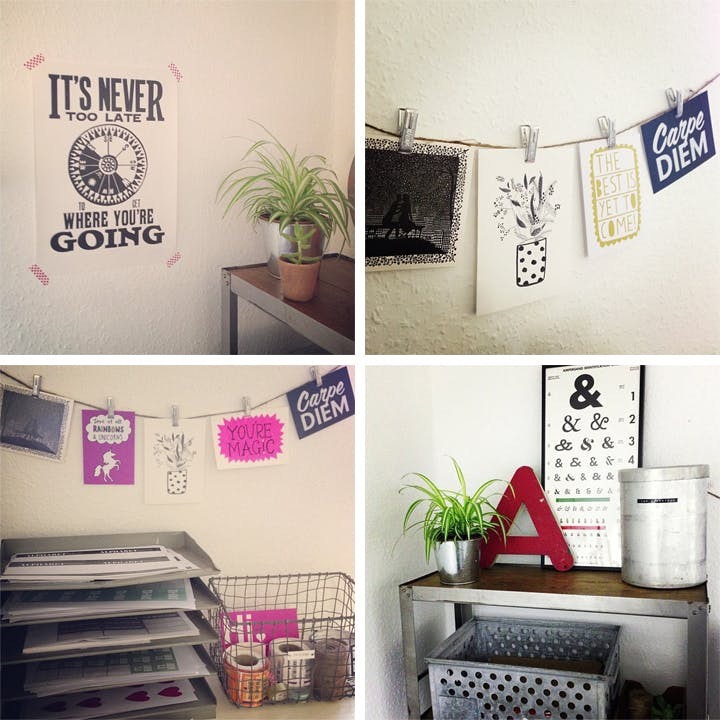 We've hung some of our favourites using twine and little aluminum pegs. This is such a quick and cheap way of displaying small pieces of art. 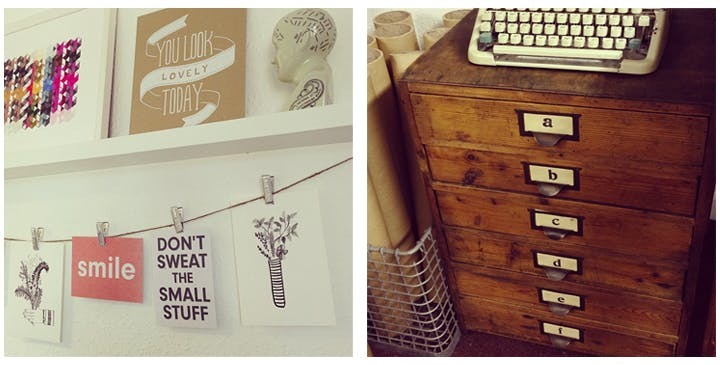 Alphabet Bags HQ wouldn't be complete without some Alphabet drawers! Our sister site The Calm Gallery uses up lots of plan chests! 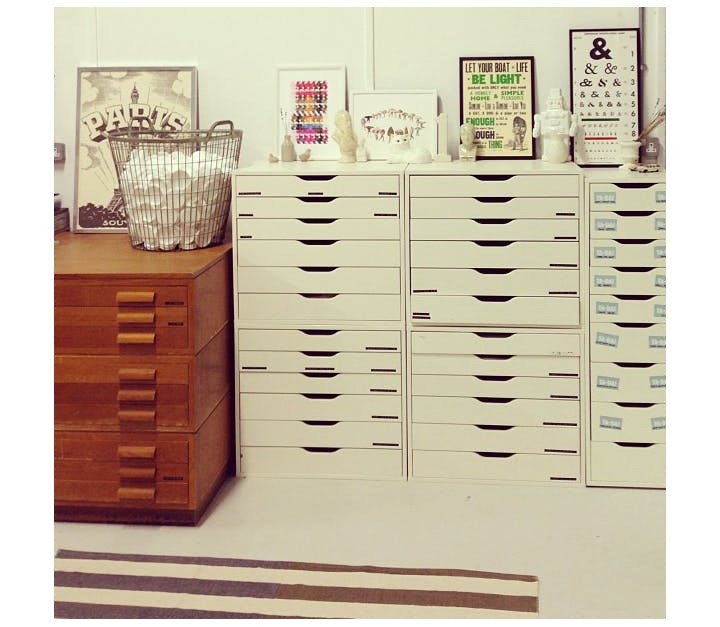 We have a million of these white Ikea drawer units plus some lovely large vintage plan chests. The best thing we did to spruce up the office was to bring in lots and lots of plants which we've dotted about all over the place. They make us happy!